Our Insolvency & Corporate Recovery team is consistently recognised as one of the premier insolvency teams in the East Midlands, by both The Legal 500 and Chambers & Partners legal directories. 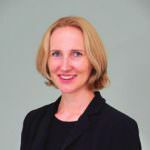 We have gained a national reputation for our work with Licensed Insolvency Practitioners, led by solicitor and Licensed Insolvency Practitioner, Nicky Calthrop-Owen. We act for Insolvency Practitioners in making claims to recover assets on behalf of trustees in bankruptcy in administration or liquidation. Our aim throughout, is to get the best possible return for the creditors. Our insolvency team has extensive experience of dealing with disputes in the insolvency context having recently been described in Chambers & Partners as “the best contentious team in the East Midlands”. Tracing and constructive trust claims. 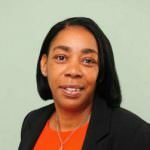 "Actons has ‘one of the strongest insolvency teams in the Nottingham area' with ‘strong technical knowledge' across the range of matters. It acts for major insolvency practitioners in the region, such as Bates Weston, KPMG, BDO and Baker Tilly (now RSM)." "‘A good spread of knowledge’ and ‘quick response times’ make Actons a popular choice not only for insolvency practitioners, but also for lenders." 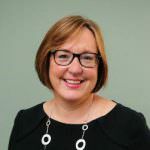 "Nicky Calthrop-Owen heads Actons’ practice, which is praised for providing ‘clear, accurate and unambiguous advice’"